Do you believe that the baby you sang about a little over three months ago, was crucified, buried, and rose again on the third day? Sadly, most people don’t. It’s easy to sing about a helpless, vulnerable, and cuddly baby. It’s another thing to sing about a sovereign King who rules over everything – including the grave. This is why so many music artists produce Christmas albums but have nothing to sing about on Easter. 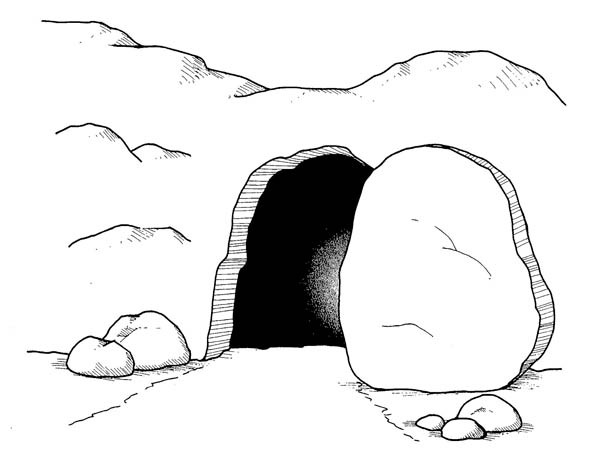 We hope you made the journey from the manger to the empty tomb. And if so, then continue on “looking to Jesus the founder and perfecter of our faith” (Heb. 12:1-2). Keep singing, believing, looking, hoping, seeking, loving, serving, praying – keep holding on to your confession by loving what Jesus loves – the church. It’s the only group that makes it to the other side. This entry was posted in Uncategorized and tagged Christmas and Resurrection by ivanjamestruman. Bookmark the permalink.